Hello folks I am new here. I went for 2- step j pouch. Done with my first surgey 4 weeks back. I was planning on having my takedown done in 12 weeks post the first surgery post first operation but just doesnt seem that will happen. The skin around ostomy is very sore and burns all day no matter what kind of appliance or extended wears I use. My surgeon adviced me to have the takedown soon. Any suggestions about how should I go forward. Also my ostomy output is also very liquidy. I have to clear the bag upto 8 times in a day period . That would roughly be same or even more with the pouch so its pretty high frequency. Sorry it’s cuasing you trouble. Have you been measuring your output? If I remember correctly if you’re outputting more than 1600 ccs then you should talk to your doctor. Are you taking Imodium or anything? Sometimes taking in certain foods will help it thicken up- potatoes, peanut butter, etc. What do you use for the skin around the stoma? I used to eat a marshmallow to stop the output for a few minutes so I could change my bag without liquid coming out. I’d clean it off and spray it with the barrier spray and dust it off with the powder. My doc said the powder is what works to heal the skin. I used to take a picture with my phone every time I changed the bag, so I could compare and see if it’s gotten worse. Would that be helpful?? Do you have the takedown date set? Most of the time the doc will want to do a test to check and make sure it’s healed before to proceed. That sounds painful. Are you following a low-residue diet? Bubba1028 had some good suggestions for slowing output – I would second those. Also, do you have an ostomy nurse you can visit or telephone at your local hospital? If not, maybe you could telephone the ostomy association in your country or state and find out where you can get help. I live in India. We do have good clinical facilities but those are in big cities. Mine isnt so big so getting a good ostomy nurse to change bag is not an option. I've been doing it with my mother assisting me from very start. As for the amount its not above 1600cc but even with less than a half full bag i have to just empty it or it'll just pull the wafer off from the other side. I do use the stoma powder but coudnt get wipes to clear it off as amazon wouldnt deliver them here and no clinics got it. So that too doesnt work. Being allergic to peanuts I dont have peanut butter. To thicken the output I usually have bananas,sweet potatoes,mashed boiled potatoes but then the output just would get so thick it wont move causing pancaking. Thats bad too shortening my wafer life further. I guess its a rarely a problem for othes as only i've been going through this among all the people i've contacted so far. If someone would of told .e back then what i know now. Try using 100% psyllium husk. It is simply fiber. It thickens the stool and therefore you will not have that liquid that burns so bad. I have been taking it for 34 years. One of the best things to try even after your take down. Get the orange flavor. I drink my fast. Use cold water and big table spoon full. Good luck. I have a permanent ostomy and empty around 10 times a day - which appears to be normal per another support group I visit. In order to keep the appliance from pulling off we need to empty it when 1/3 to 1/2 off. If I were you I'd try imodium, up to 7 per day, and psylium. You should take the imodium before you eat and psylium after you eat. Since we are taking psylium to thicken our output we aren't to take it with all the water, as in the instructions. Mix it in a little bit of applesauce. I had my takedown at 8 weeks. Maybe that is what your doctor has in mind. Good Luck! I live in a country area too, so I understand it is hard to get help. 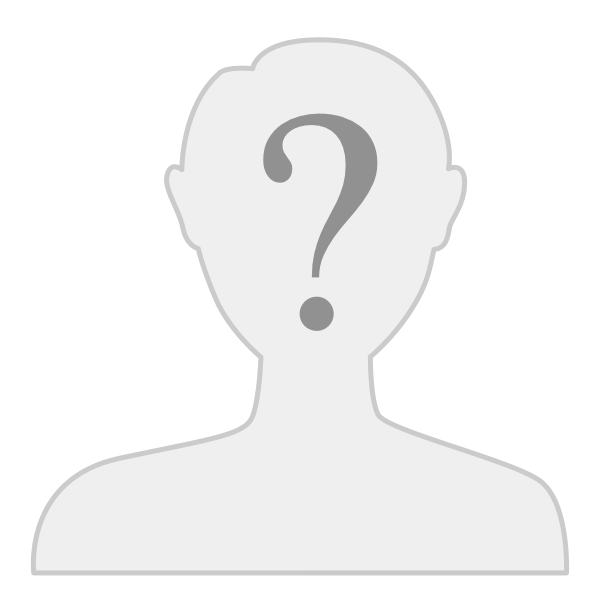 Can you telephone the stoma nurse at the hospital where you got your surgery done? Alternately, can you telephone an ostomy association or an ostomy supply company? It's hard to get a balance between thick output that causes pancaking and liquid output that burns. I took psyllium husk fibre too (during ileostomy and with j-pouch). You want to get the smooth powder and take a dose with a small amount of water before eating a normal meal (don't take it with low-residue meals). Well to be honest people dont do extended research on ostomy much here as surgeon perform takedown anywhere between 6-8 weeks . So even the nurses arent very educated on the matter.I was just asked to bear it for 6 weeks anyhow as they'd perform takedown soon . But I've found that spicy foods are the real culprits as far as my irritation goes as I ate too much of spicy food in initial days. I've cut down on spices and having only fresh juices.butters,fruits and a normal food with no extra spice. Its not 100 percent fine . But I can atleast have good sleeps now . My end ileo is new and I empty every 2 hours, my j pouch was worse, 20-30 trips a day to the bathroom and this is easy, takes a few seconds and no perianal skin burns but I do have peristomal skin rashes and burn. There is no perfect solution to a disease that keeps giving. My problem is not around the stoma it is around the perimiter of the outer adhesive, I am allergic to all of them so far.Thanks for the info. I had a similar issue and was advised to try Coloplast products. For some reason they cause me no irritation. I also need to use a specific adhesive: Hollister 7730. No other adhesive would work for me. Just a note on rates for emptying.. I have a permanent ileo and I empty 10-15 times a day. But I also eat alot. Still skinny. But as soon as I eat whatever is in me is pushed into the bag 5 minutes later. So eight times isn't bad unless your letting it fill too much. Empty at 1/3rd full. Do you use a skin barrier? (protector) Before you apply the wafer? I use a wipe skin barrier first. Let it dry and then use a spray skin barrier. Lightly. Let it dry and then apply the wafer. You are probably doing that already. But I thought I'd throw that in the mix. I tried most every brand and style of appliance. I still try new products every time something new is introduced. I tried a Convatec appliance around a year ago and was allergic to it. It was made to help those that have sensitive skin. Even tho it did the opposite for me maybe it would work for you. I empty a lot too but it's still better than the pain I went thru with my j-pouch. A bit late, but bulking up the output is the key, as Alock says psyllium husk will stop the 'burning'. Baked, peeled apple slices work great for bulking up output, as well. 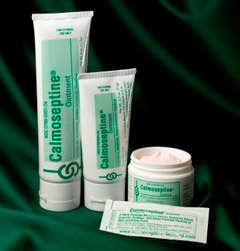 I've heard people recommend calamine lotion for skin irritation/soreness. Dab a little bit on, apply skin barrier wipe/spray on top (or not), and apply wafer. I've tried it and it seems to help. Also, I've found that if you have little dips/dimples in any area close to/around the stoma, be sure to cover those or fill those in with small bits of paste or pieces of ring. The skin around the stoma needs to be even or the output will find it's way to any little valleys or dips and the burn begins. So to update, Coloplast are by far superior, the new sensura mio flip has few barrier areas and is soft compared to other convex, I also use their sensura convex both still cause some itching but I am starting to think it is the acid from food somehow. Good news - things have improved. Is the itching under the whole appliance or limited to around the stoma? If it's just around the stoma have you ever tried using something like a ring or paste around the stoma under the appliance? Te used a beeswax ring for awhile and tried various mounts;; sometimes the small pimple red itch but only having a stoma for about a year during the 3 gook u my J pouch surgeriesa ral red purple irriationkind of like dead exosed to the air flesh developed this was when my surgeon not my GI doctor recommended the Collagel seaweed tape and some form of seaweed based crème which worked very well and calmed the irritation down.....still had to go for fourth surgery due to the stoma herniating into a large bump...….